Tag clouds are commonly used for CMS websites to provide powerful navigation with instant illustration of related content. The main content available within your website is indexed and highlighted with Tag cloud technology helping online visitors find relevant content thus engaging them to visit you often and benefit from your content online. A tag is a keyword normally associated with relevant information such as a picture, announcement, a video clip or any other related content which enables a keyword-based classification for the search of necessary information. The main advantage of using Tag Clouds is that it can be used to highlight the most important information in your website in a very dynamic and informative way. Adopting a similar concept normally used for websites, TestPoint has developed a solution known as Vansah Tag Cloud, a service to be incorporated with Vansah QA a total SDLC platform provided by TestPoint. The service will help organisations manage their business IP and Change Impact with an analytic data intelligence service Vansah Tag Cloud. The service scans content available within your documents, attachments, requirements, incidents and test cases the moment they are created or updated with accurate keyword indexing in real time. The following diagram illustrates how Vansah Tag Cloud will look like when accessing a business requirement within Vansah. The requirement as an example below will have a dynamic set of relevant tags dynamically presented with visual access to all relevant related assets across your projects and organisation. The release of Vansah Tag Cloud service in March 2015 will provide clients instant productivity improvement with accurate real time analysis of organisational change, requirements & risk management process support, resulting in fewer project crisis situations and a reduction in cycle time from product design to product launch. While organisations are investing countless dollars and hours into business processes and project management improvement strategies the common issue of finding information in the first place to support the business is a real challenge and expensive with little re-use of business IP. Watch a short demonstration on Vansah Tag Cloud – Finding related requirements. 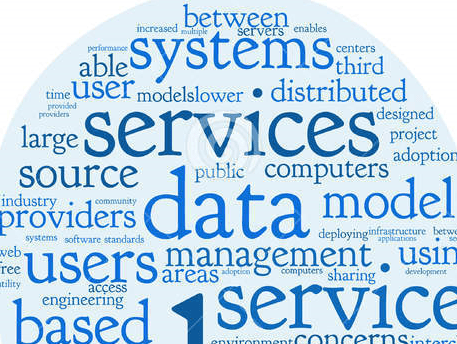 Talk to TestPoint and find out more on how we can help with a total Managed Service. Want to manage your Testing and have it Delivered For You?